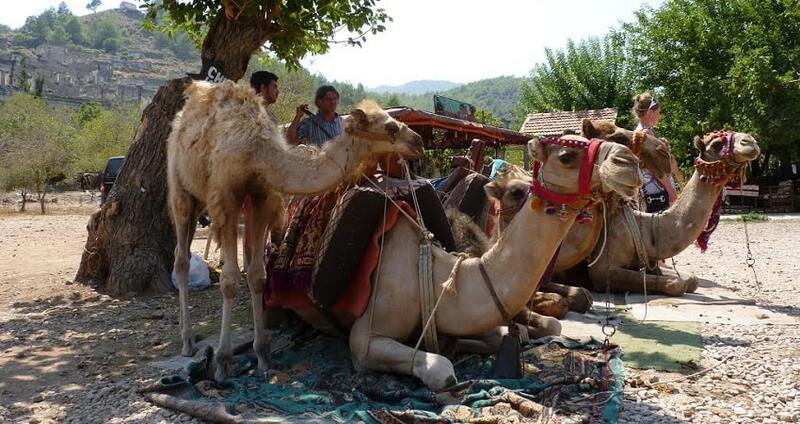 We present you an exotic and fun experience; Fethiye Camel Riding Tour! In this tour, you will have fun a lot, learn a lot, and enjoy a lot! It will be a chance for you to experience a full day with camels. You will feel like a prince or princess of an exotic country, while riding a camel. We will have a long route, and you will see a lot of natural and historical beauties throughout this long journey. When we reach our starting point, our professional instructors will explain you everything, so you do not need to be trained beforehand to ride a camel. During your journey with camels, you will be assisted by professional trainers. Everything will be explained to you beforehand, so that you will feel relaxed and safe when you mount your camel. We suggest you to pet and show your affection to your camel before you mount it, as it will be a way to create a bond between you and him. 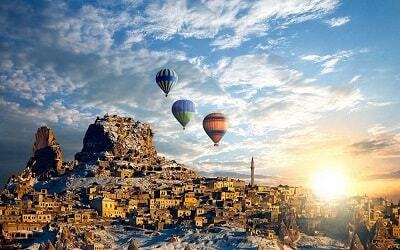 After the introduction and basic training, you will mount your camel, and we will head to Kayakoy. 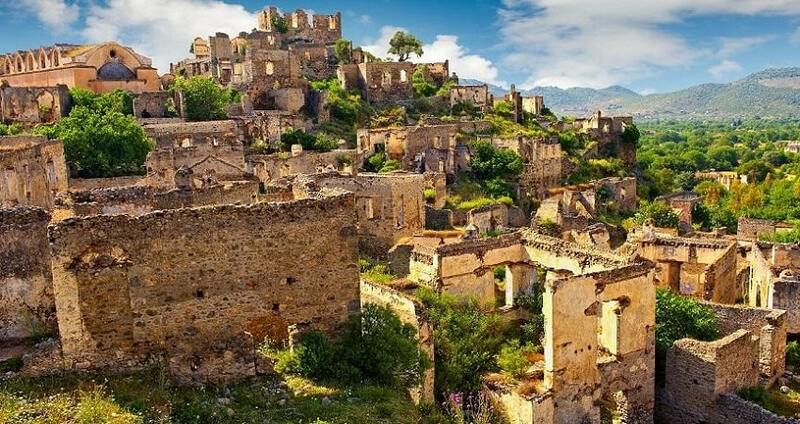 It is a small and abandoned town once called Levissi by the Greek people who once lived here. On the way, we will go through a pine forest, which will make you feel relaxed and comfortable with the fresh air and nice smell of the pine trees. The team will proceed slowly, so all you need to do is to enjoy the moment and immortalize your time on the camel. The route goes through some peaceful countryside trekking paths with the breath-taking views of the Taurus Mountains. 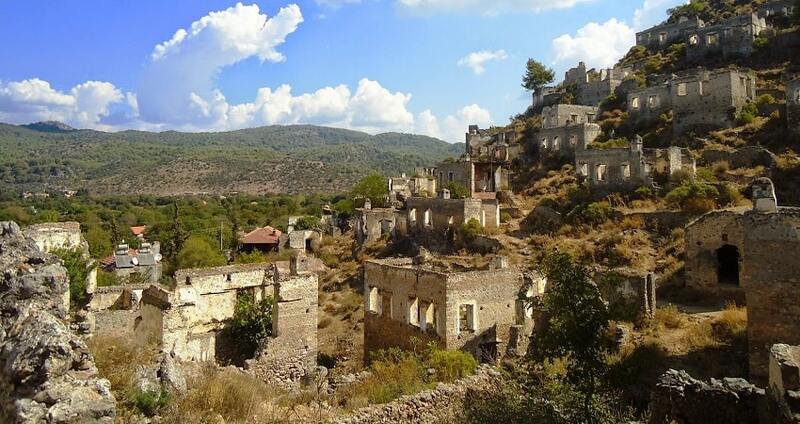 When the team arrives Kayakoy, a bunch of old and abandoned houses will welcome you. 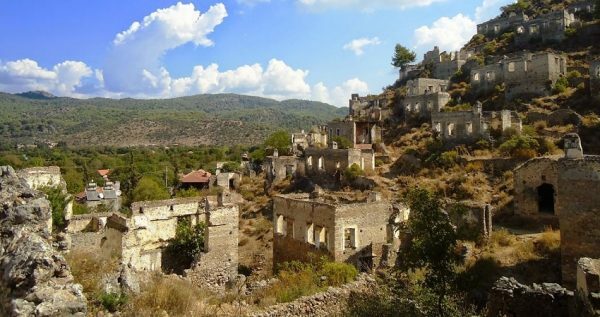 This small town was once a Greek village, but its original settlers had to leave their homes. After the fall of the Ottoman Empire, Turks in Greece and Greeks in Turkey had to trade places, as a result of an agreement between Greece and Turkey. 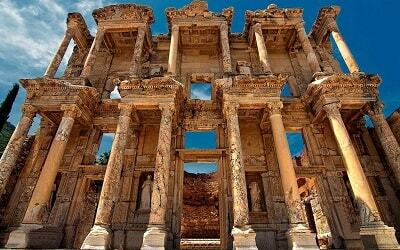 You will be fascinated when you see the architecture of these old Greek houses. Do not forget to take photos here on your camel, as it will be a once-a-lifetime memory. 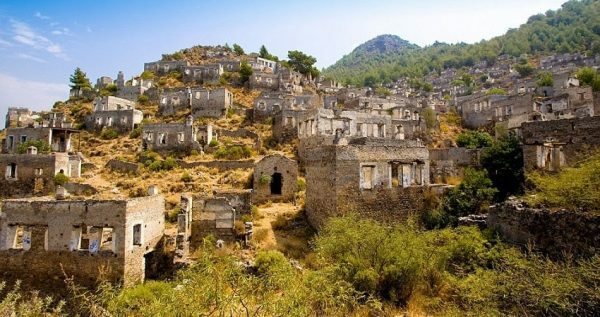 After completing our tour at Kayakoy/Levissi, we will slowly head back to our ranch. We will go through the pine forest again, and the evening sun will show you the different shades of green. It will be an amazing moment. Peacefully singing birds will be accompanying you during our journey through the forest. 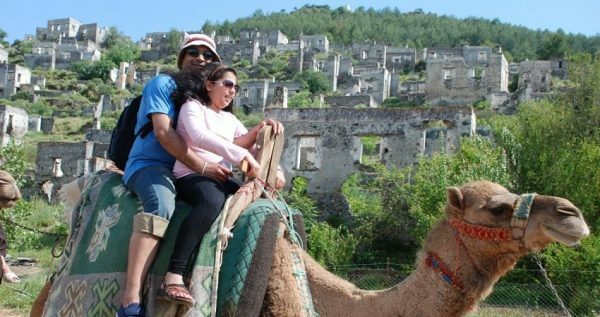 This exotic Fethiye Camel Riding tour experience, will be a great way to spend your day during your holiday. Fethiye Horse Safari can be another good option for you. At the pick-up time, our drivers will be waiting for you in front of your hotels, we will drive to our starting point which is just outside of Kayakoy and Fethiye Camel Riding begins. When you arrive to the starting point, our professional trainers will be waiting for you. To ride a camel on the Fethiye Camel Riding tour day, you do not need to be a professional rider or to be trained beforehand. Our trainers will be more than happy to explain you everything. First, they will talk about how to approach a camel, then they will tell you what to do and what not to do during riding. Every equipment will also be introduced to you, so all you need to do is to enjoy your time during the day. Before you mount your camel, the trainers will be sure that everything is okay. When the tour starts, our professional trainers will be assisting you during the ride, so you will enjoy your tour without a problem. 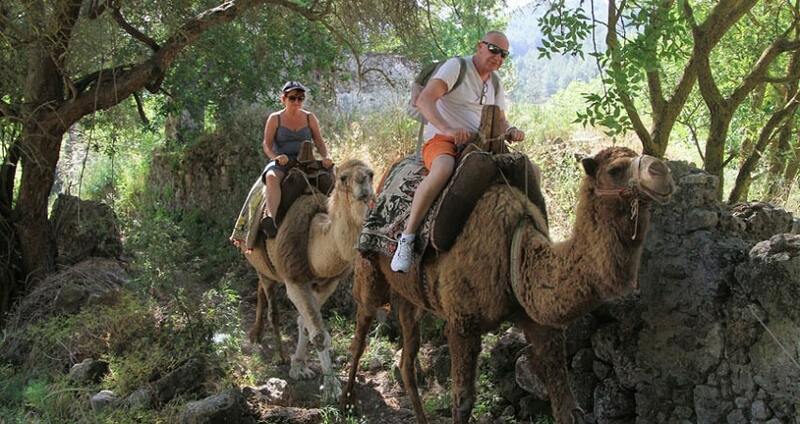 You will see lots of natural and historical beauties while you ride your camel throughout our tour route. After the refreshing pine forest and the amazing scenery of the countryside trekking paths, we will arrive to Levissi/Kayakoy. This small and abandoned village was a Greek town, once upon a time. 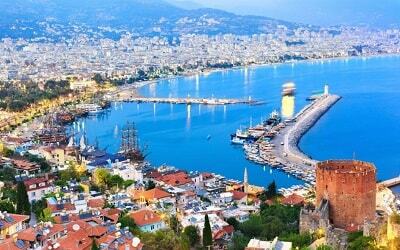 Its original settlers had to leave their homes as a result of an agreement between Greece and Turkey. They had to go back to Greece during Turco-Greek repatriation. 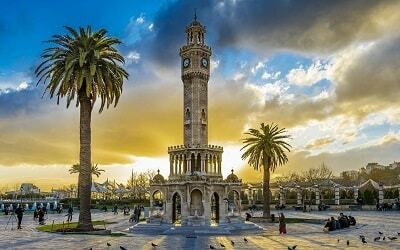 However, they left a culture behind, the houses and their architecture will enchant you. Do not forget to immortalize your precious moments here by taking pictures. 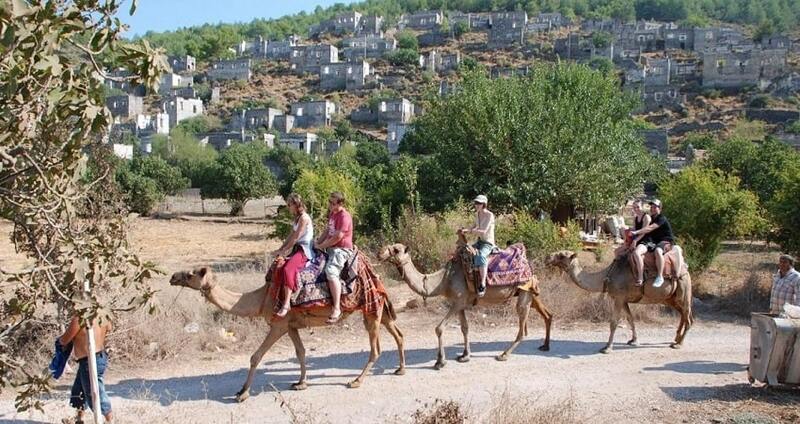 After completing Kayakoy part of Fethiye Camel Riding Tour, our team will slowly head back to our starting point. You will see the pine forest in the evening sun, and you will be amazed when you see the different shades of green. Our drivers will be waiting for you to take you back to your hotels.